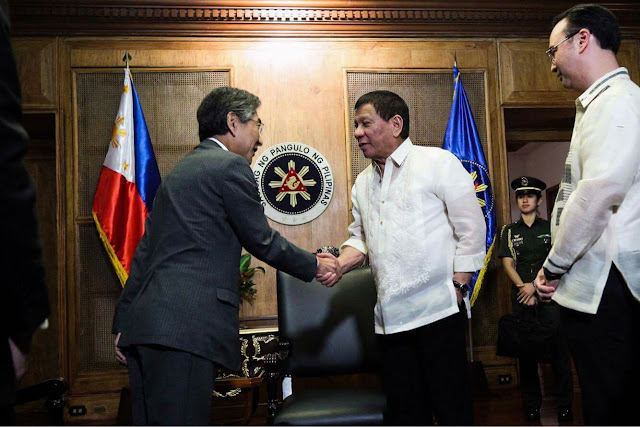 President Rodrigo Roa Duterte on Tuesday, July 25, received in a courtesy call at Malacañan Palace Chinese Foreign Minister Wang Yi and Japanese Ambassador to the Philippines Kazuhide Ishikawa. 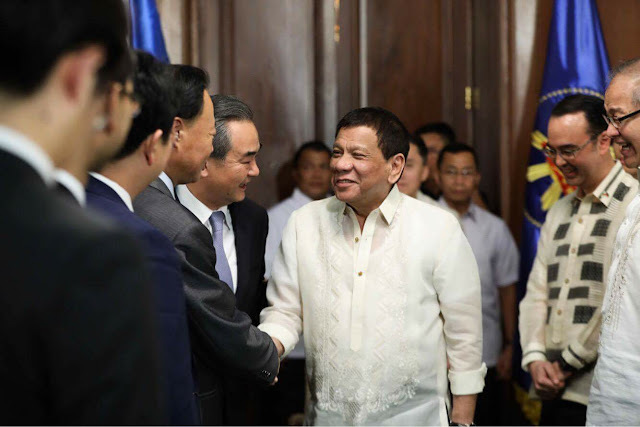 During his meeting with the Chinese Foreign Minister, President Duterte expressed gratitude to China for donating firearms to the government troops. 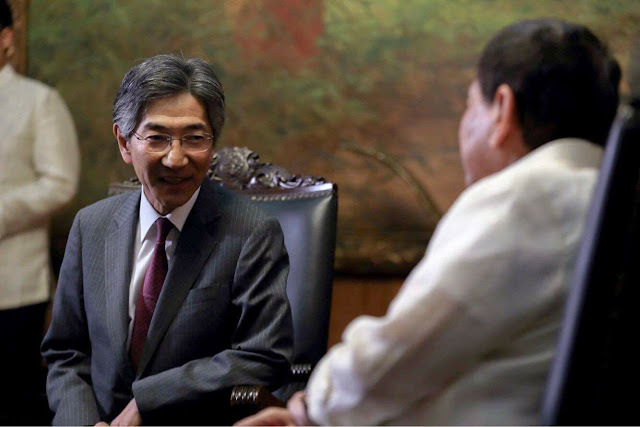 The Chief Executive said the weapons will replace the old guns. 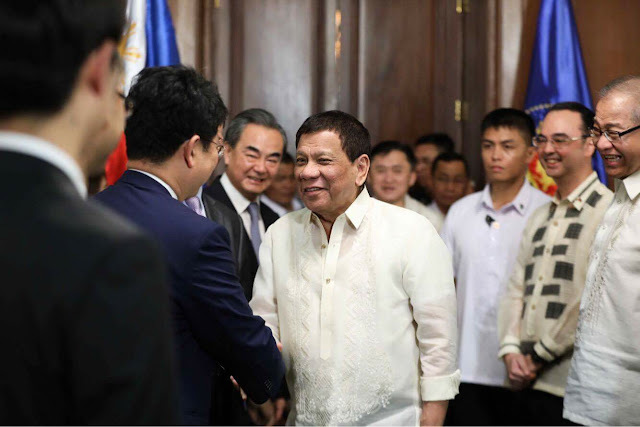 Wang was accompanied by Chinese Ambassador to the Philippines Zhao Jianhua and Department of Information Ministry of Foreign Affairs Deputy Director-General Geng Shuang and Department of Asian Affairs, Ministry of Foreign Affairs Deputy Director-General Bai Tian. Department of Foreign Affairs (DFA) Secretary Alan Peter Cayetano, Philippine Ambassador to China Jose Santiago Sta. Romana, DFA Undersecretary Enrique Manalo and Bases Conversion and Development Authority President and CEO Vivencio Dizon were also present during the courtesy call.